When I first saw the Countryside Stamp Set, it made me think of my Grampy and his farm. This card, reminds me of his truck. At least I think he had a truck...probably not in his later years, but I'm pretty sure I've heard stories about riding in his truck as a little girl. In my imagination, his truck looks just like that. I KNOW he had a well...the whole house was on well water and it was COLD! My sister and I used to "swim" in old wash basins when we were little and Grampy would fill them up for us. BRRR!!! My Dad used to go into the house and sneak out some warm water for us so it wouldn't be so cold. but it still reminds me of him. If I close my eyes and imagine he did have a pump, I can see him at it, getting water to water his big garden. I can see him carrying the bucket out to the garden. I can see Kimmy (his dog) following along behind him. In his later years, he didn't garden so much, but the picture I see is the way I saw him as a little girl. He passed away 25 years ago this April and I still miss him. I wish he could be here to see his grandchildren...I wish he could have been at my wedding...I wish...well...I wish a lot of things. I hope you like my ATC. Tomorrow will be SUPER busy (especially since it's the LAST day to order for SAB), so I won't be able to update. Come back on Friday though, and I'll show you how I turned my ATC into a card. Can you believe it? The Summer Mini is right around the corner! How exciting! Of course, with the Summer Mini starting up in just over a month, that means that Sale-A-Bration is just about finished - just three more days (if you count today)! So, if there's anything you've been meaning to get to earn free product, NOW is the time! Just click here to get started! Want to see the whole thing? I'm doing a count down to the mini special edition newsletter for which you can sign up. You'll need to click on the "sign up" box in the top left corner and select the "summer mini" option in my newsletter list. 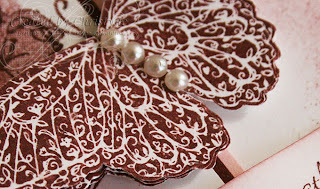 I'll also be revealing how I made the butterfly look like it's flying off the page in my newsletter. These pics are from last year, but I just got around to MDSing them! This is just a quick post today as we JUST got back from a weekend getaway and I have a PILE of laundry to do! Recently my friend Jill and her husband Mark added a new little bundle to their family. Well...what's a card maker to do? Make a card of course! Would you believe that I DIDN'T own ANY baby sets? How did such an oversight happen? Fortunately, I needed to submit a customer order and added "Teddy and Train" to the list for myself - problem solved! And just in the nick of time too - PHEW!!! 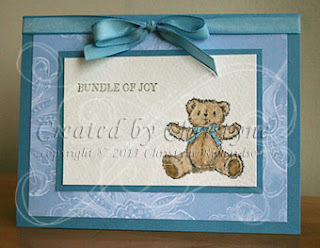 So, I stamped this ADORABLE little teddy on our watercolour paper using Staz-On ink and coloured him in using our Watercolour Wonder Crayons in Crumb Cake and Soft Suede. You may remember that I used them last on this card. By heading over to that post, you can find all the tips I posted on ways to use the crayons. I stamped the sentiment using Early Espresso Ink. I wanted to keep the card simple and elegant, so I didn't add a lot of extra stuff to the image panel. I used a piece of Paisley Prints DSP (available in the NEW 2011-2012 Idea Book and Catalog) and added a piece of Marina Mist 3/8" taffeta to finish off the card. One of the most amazing things about being part of this fantastic company are the events. 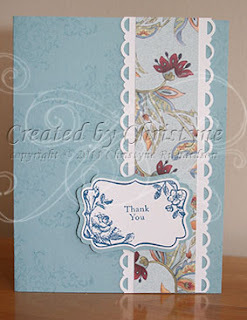 And let me tell you: Stampin' UP! knows how to put on a show! Last year, I had the opportunity to attended a Regional Event in Hamilton with my most awesomest upline Caroline (F) LeBel! I got to hang out with "Canadians, INK!" which is the name of Caroline's team and our "mommy" team to "Canadian Blossoms". Good Friends: Just because Julie and Caroline aren't on the same team, doesn't mean they can't be friends! We're just one big happy family! Shannon West: This girl is cute, cute, CUTE! And she's super dynamic. Any chance you get to hear her speak is one you should most DEFINITELY take! Swapping Cards: At any Stampin' UP! event, there are demonstrators swapping: cards, card fronts, 3-D items. It's SO much fun to gather ideas from other demonstrators by swapping! 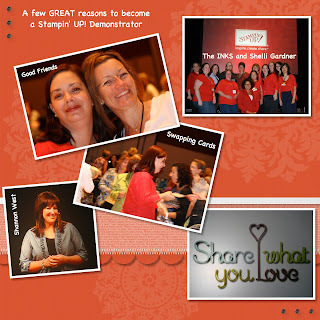 Shelli Gardner: Last, but certainly NOT least, is Shelli Gardner, Co-Founder and CEO of Stampin' UP! This girl is a dynamo and it's contagious!!! I came away from this spectacular event energized and ready to do more, more, more in my business! 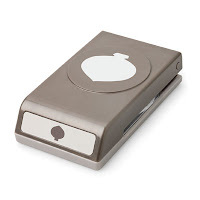 And now, during Sale-A-Bration, is really the BEST time to join my team and Stampin' UP! The starter kit is on SALE for $182.75 (that's 15% off!) 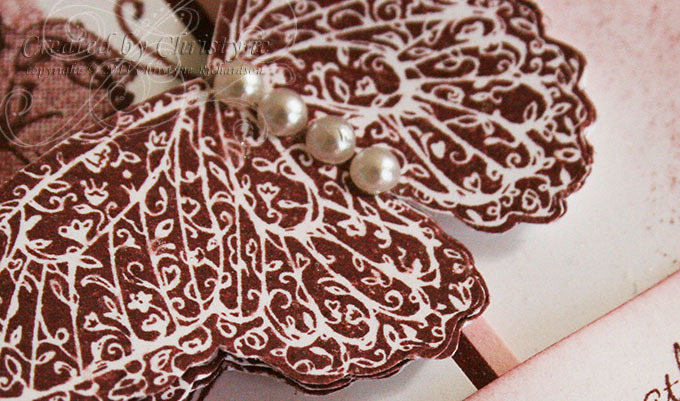 and as added bonus, you get an extra $60 worth of goodies from Stampin' UP! In addition, as an EXTRA bonus, if you join now, I'll give you your choice of ANY regular stamp set from the Idea Book and Catalog (this does not includes Hostess Sets). That's right - ANY stamp set. Even the really expensive $58.95 set Define Your Life if that's the set you want. 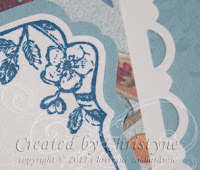 For my MDS layout above, I used Textured Poppy Parade Cardstock for my background and then stamped using the Medallion Stamp Brush in Whisper White. I achieved the effect of transparency, by reducing the opacity of my stamp brush to 10%. 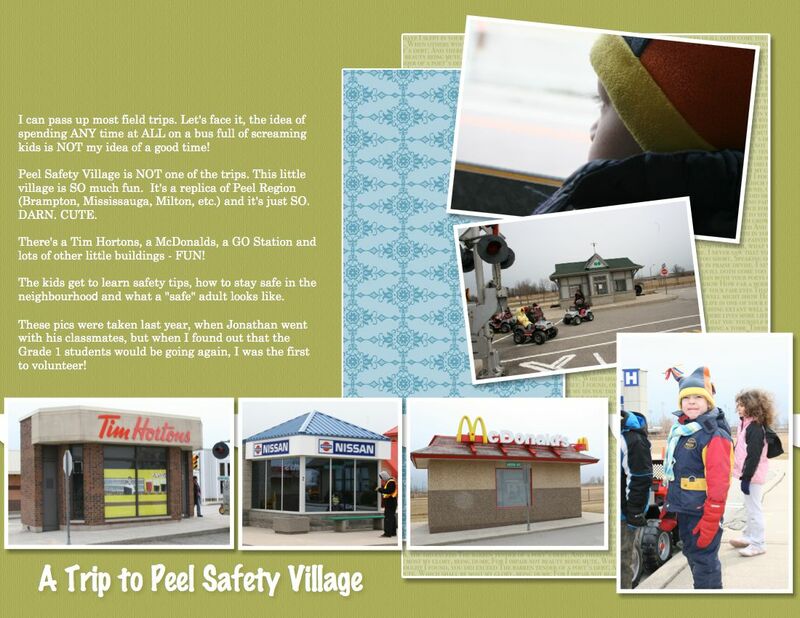 I added photos, text and embellishments and had a scrapbook page in under half an hour. That's the beauty of MDS - quick and easy. The BEST part? NO CLEAN UP!!!! So, what are you waiting for? No time like the present! Just click here and you can get started right away! As of this morning, there's only 10 more days to take advantage of this great offer! I love embellishments, don't get me wrong. But sometimes, you need to let the paper and the stamped images speak for themselves. 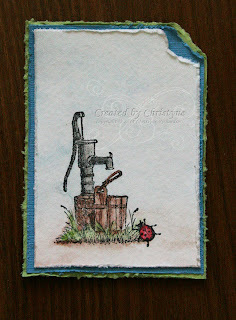 For this card, I used three different stamp sets, two of which are from the Sale-A-Bration brochure and will only be available for the next 11 days! The other stamp set that I used is "Clearly For You" and it's in the Occasions Mini which is available until April 30th when the new SUMMER MINI takes effect! And...speaking of SUMMER MINI, I'll be putting out an additional newsletter every Tuesday for the next 6 weeks to introduce you to the goodness that will be in the SUMMER MINI beginning May 1st. You're going to LOVE IT!!! In order to receive this newsletter, you MUST sign up for it. If you're already receiving my semi-monthly newsletter, you'll need to change your preferences. Because this SUMMER MINI newsletter will be weekly for the next six weeks, I will NOT be sending it out to my regular newsletter subscribers without their permission. If you have ANY difficulty whatsoever updating your preferences, please email me and let me know. I can make the changes for you, at your request. I read a FaceBook status update of a very close friend this morning and it was somewhat disturbing. This girl has the most amazing, generous, giving, kind spirit and to see her hurt breaks my heart. We chatted a little bit and I decided that she needed a more tangible reminder of just how awesome she is. So, I picked up my colour coach and decided on: Rich Razzleberry, Early Espresso and Pretty in Pink. I threw in some Regal Rose for a little brighter Pink. I started off by stamping the Early Espresso Base using the large image from the Bliss Stamp Set (available with a $60 purchase only for the next 11 days!) and Versamark ink. Then I stamped the images from Sweet Summer (also available only for the next 11 days!) 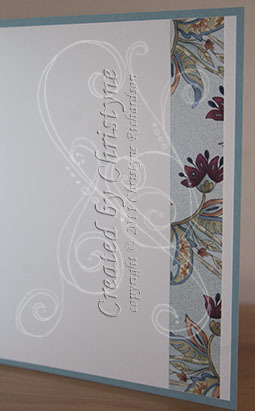 on Whisper White Cardstock using Garden Green, Regal Rose and Rich Razzleberry Inks. The sentiment (from Clearly For You) is stamped in Regal Rose on Whisper White Cardstock, punched out using the Word Window Punch and matted on a piece of Rich Razzleberry Cardstock punched out using the Modern Label Punch. There's an appropriate amount of mush on the inside. MDS Monday - What You SEE is what you get! Ever wondered what exactly is ON the My Digital Studio discs you get when you order this fantastic product? 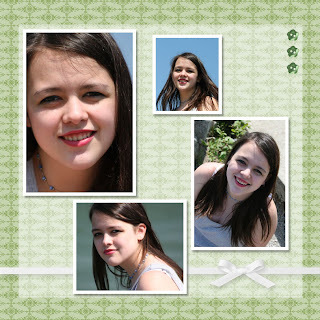 And, since it's MDS Monday, here's a 12 X 12 page that I created of my DD. It's VERY simple, but sometimes simple is JUST RIGHT and it lets the photos speak for themselves. Besides, not that I'm biased or anything, but she's GORGEOUS! 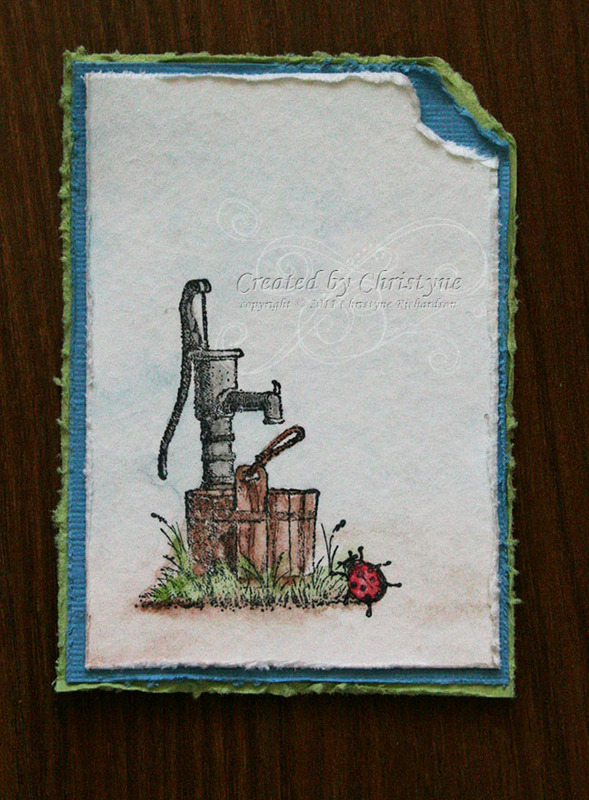 I used Wild Wasabi for the Background Paper and added a layer of Whisper White for the vellum effect. I chose two VERY simple embellishments, opting for Garden Green buttons and Whisper White Grosgrain Ribbon. Sunny Sunday Sketch - Week 23 - REVEAL! Yes, I KNOW I haven't been consistent with my sketches, but I'm still going to keep them in numerical order rather than trying to figure which week is which. So...we'll call them "sketch weeks" instead of actual weeks - LOL! And...in two "SKETCH WEEKS" I'll have some blog candy, since it'll be "Sketch Week" 25. Sound good? So, yesterday I gave you a sneak peek of some new papers and a new stamp set that will be released in the new Idea Book and Catalog. I've only had to papers and stamp set for a few days and I can tell you that I LOVE IT! I'm sure you will too! Isn't this paper GORGEOUS? And that's only ONE of the TWELVE patterns that are in the pack! You get 12 pages of Designer Series Paper, 2 each of six designs and it's all double sided. Trust me when I tell you that you're going to want more than one pack of this paper! I ordered three packs with my pre-order and I can't WAIT till April 1st so I can get MORE! Want to get it during the pre-order? No problem! All you have to do is sign up to become a demonstrator. It's just one of the many perks you get by joining my team. You'll also get the starter kit at 15% off, so you'll pay only $182.75 instead of $215. As another added bonus, during Sale-A-Bration, you also get a product bonus of $60 including the Colour Coach! This really IS the BEST time to become a Stampin' UP! Demonstrator! And there's no pressure to buy anything ever again! If you just want the kit, GREAT! You'll still maintain active status till the end of June and still be able to receive at least 20% off every single order. If you place a $200 order in the first 60 days, you'll get 30% off that order. You just can't lose! If you need even MORE incentive, you'll be able to get first crack at all the retiring stamps/accessories when Stampin' UP! announces the retired list around the middle of May. I stamped the Four Frames onto my Whisper White Cardstock and then chose one of the sentiments from Silhouette Sentiments (a Level 1 Hostess Set) to stamp inside the frame. This set is perfect if you just want a little something in the way of a sentiment. It's simple and elegant and adds just the right touch. I like finishing the inside of my cards with just a snippet of something from the front. I think it makes it looked more "polished". There's a new paper in town - you're gonna love it! 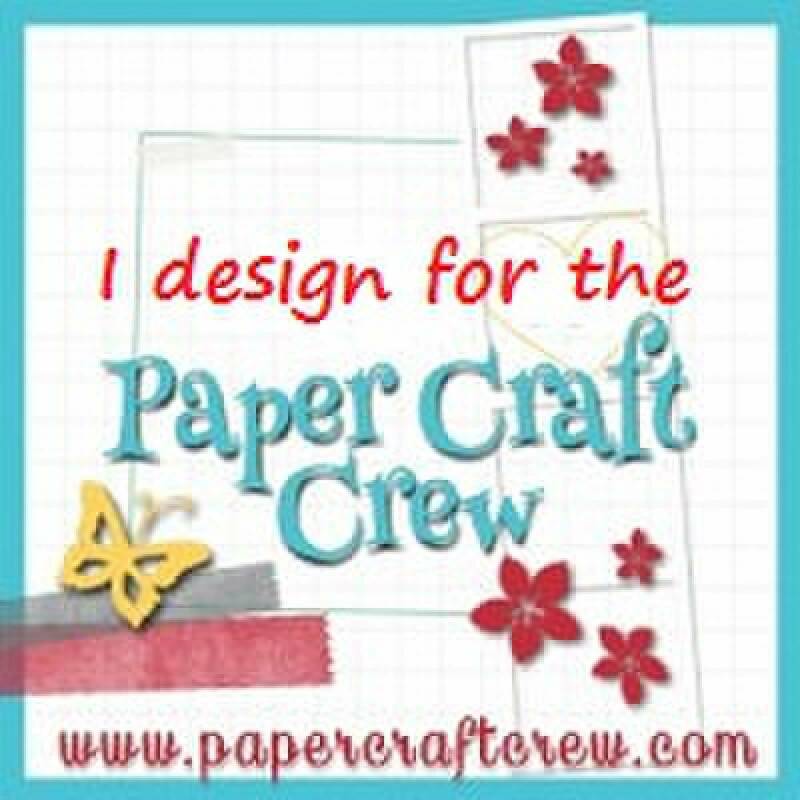 This is a new paper and stamp set that will be in the NEW 2011-2012 Idea Book and Catalog...but YOU can get it beginning April 1st - a full THREE MONTHS before it's released. How fantastic is THAT? Today, I'm just showing you a little sneak peek. You'll have to come back tomorrow to see the whole thing. It'll be my Sunny Sunday Sketch for this week! The paper is called Paisley Prints and the Stamp Set is called Four Frames and coordinates with the Decorative Label Punch. We're happy to announce the Extra-Large Ornament punch (item 119847) is available to order. The quality problems we were experiencing with the punch have been resolved and our supply is ready to go. Thank you for your patience as we work to provide you with high-quality products. 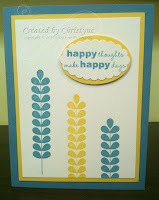 Have you had a chance to shop the Occasions Mini Catalog yet? If not, why not? There's less than two months left to order all the goodness from it and then it'll be gone! April 30th, 2011 is the last date for this mini! One of the FABULOUS things in the Occasions Mini is the new Petal Cone Die. 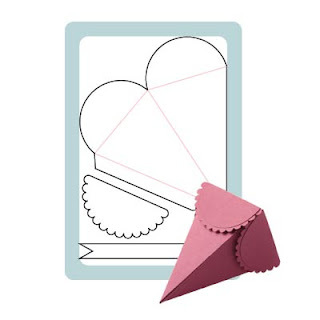 If you're coming to my Ten Card Class at the end of the month, I'll have some samples of the fun things you can create with it to show you then! I hope you'll join me as I start introducing classes to my schedule! 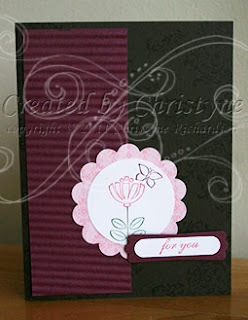 Join me on Sunday March 27th, 2011 at 1 p.m. and we'll make 10 all occasion cards, using a variety of stamp sets, including the Level 2 Hostess Set. If orders on the day of class total $395 or more, I'll choose a lucky winner to receive the set! Place a $60 order on class day and your $25/$30 class fee will be applied to your order as a discount! SPACE IS LIMITED TO 10 STAMPERS, so reserve early to avoid disappointment.